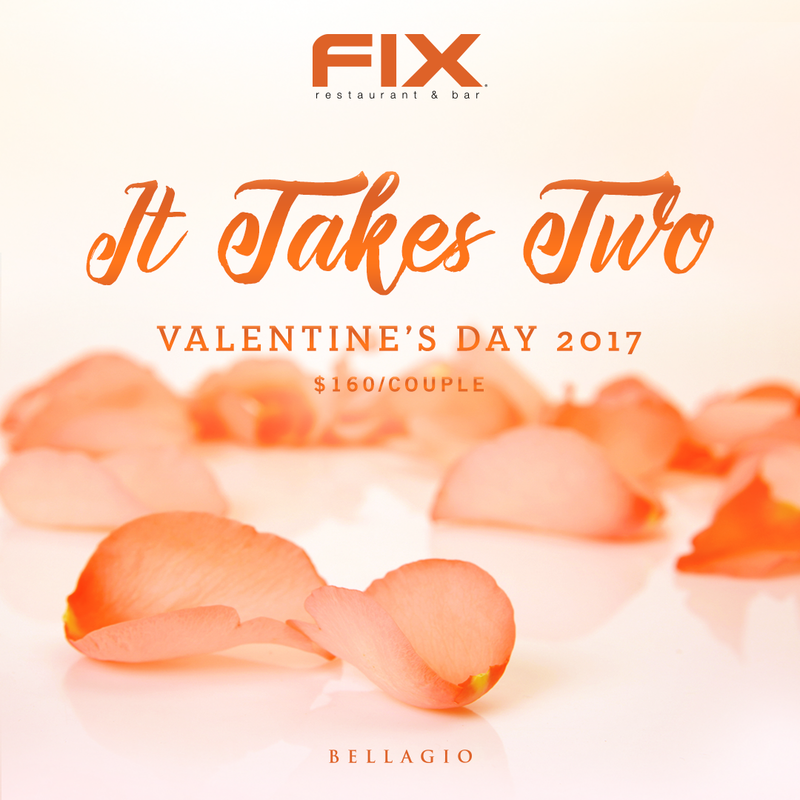 At FIX Restaurant & Bar we know it takes two to tango, but it also takes two to love. 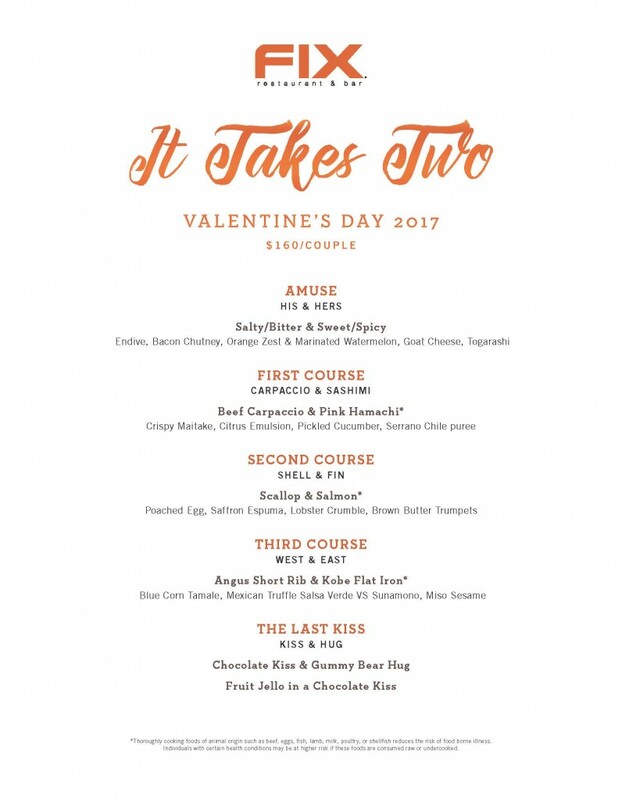 That’s way our Valentine’s Day Menu features items for both sides of the relationship. Start off with the his & hers amuse before diving into the carpaccio & sashimi course. Following up with the shell & fin and then the Angus Short Rib & Kobe Flat Iron, but then don’t forget to Kiss & Hug with Fruit Jelly in a Chocolate Kiss.